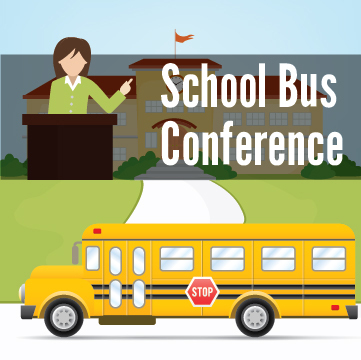 We’ve rounded up School Bus Conferences, Expos and Tradeshows for all of 2016! Make sure to register early so you don’t miss out on the great information and networking opportunities. Visit the School Bus Fleet website for more information. Visit the Wisconsin Association of School Bus Officials website for more information. Visit the Transporting Students with Disabilities and Preschoolers website for more information. Visit the School Transport Safety Conference website for more information. Visit the California Association of School Transportation Officials website for more information. Visit the School Bus Fleet website for information. Visit the National School Transportation Association website for more information. Visit the Texas Association for Pupil Transportation website for more information. Visit the Texas Association for Public Transportation website for more information. Did we miss any? Let us know and we’ll add it!